When you want an oriental sword with a utilitarian design that you can use to practice your skills, then the Black Wood Katana makes a good option. This functional Japanese sword has a practical design without unnecessary frills. 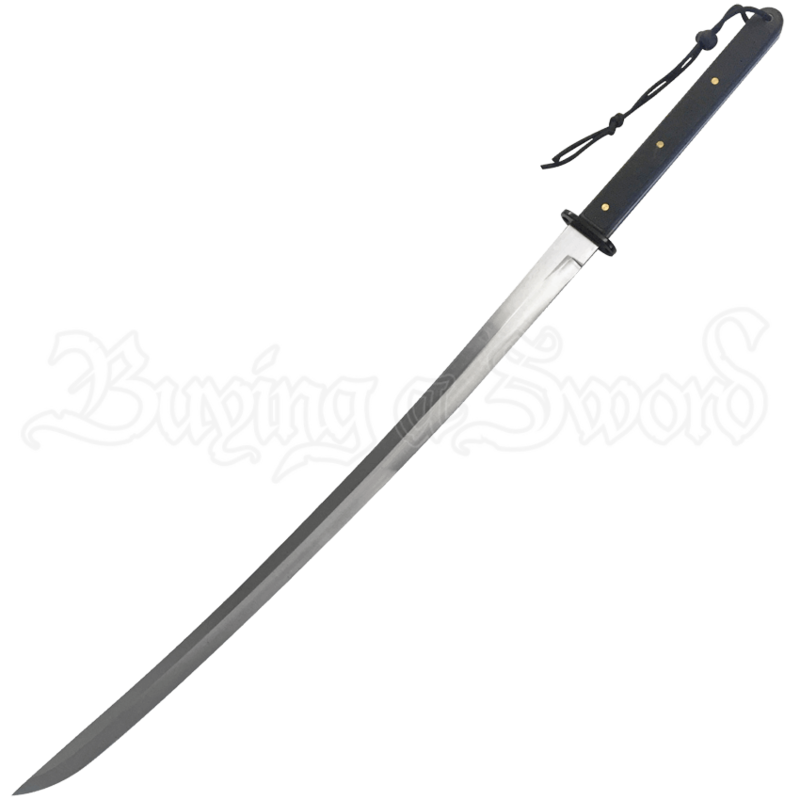 The battle ready katana has a 1045 carbon steel blade with a satin finish and a fuller. The handle is overlaid with black wood that matches the black wooden scabbard. This handmade katana trades in ornamentation in favor of a design that can be put through its paces during practice or other use. The economical design is reflected in the price, as well, making this a great option for new and experienced swordsmen on a budget. Be sure to check out our Black Wood Wakizashi (MC-TR-034M) for a matching design.